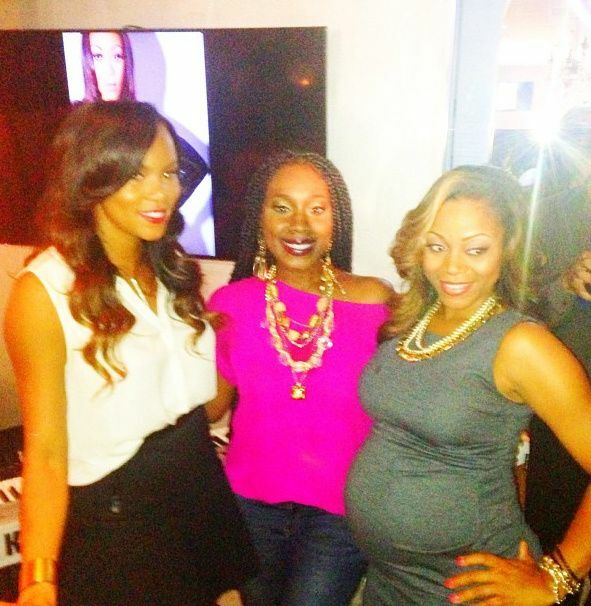 Over the weekend, former Destiny's Child member LaTavia Roberson and her baby daddy, record producer Don Vito (from "RHOA" and "The Kandi Factory") threw a swanky baby shower in celebration of the upcoming birth of their baby girl Lyric. Yes, she already has a name apparently. 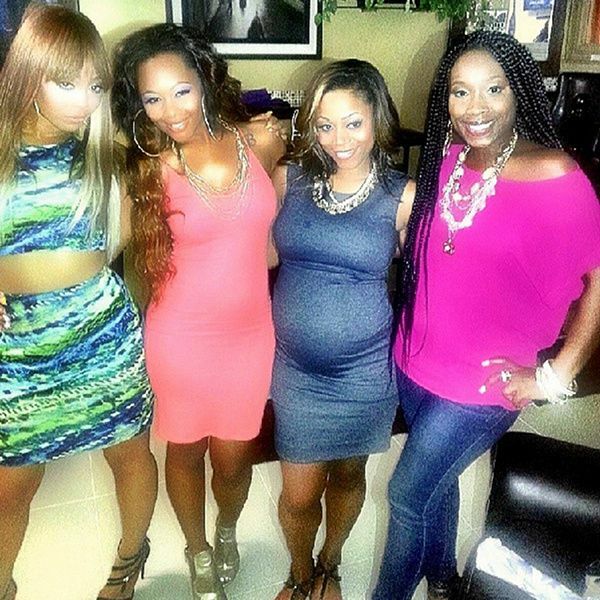 Thrown at Atlanta's Future Visions event hall, the shower was attended by some of LaTavia's long time friends like Shamari Devoe and Brandy Harris of the group Blaque and Meelah Williams, formerly of 702. 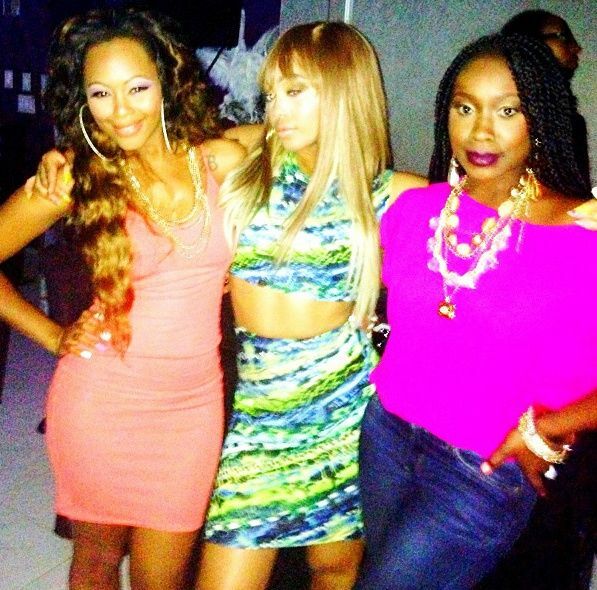 Shamari, Brandy and Meelah posed for a few cutesy pics together. 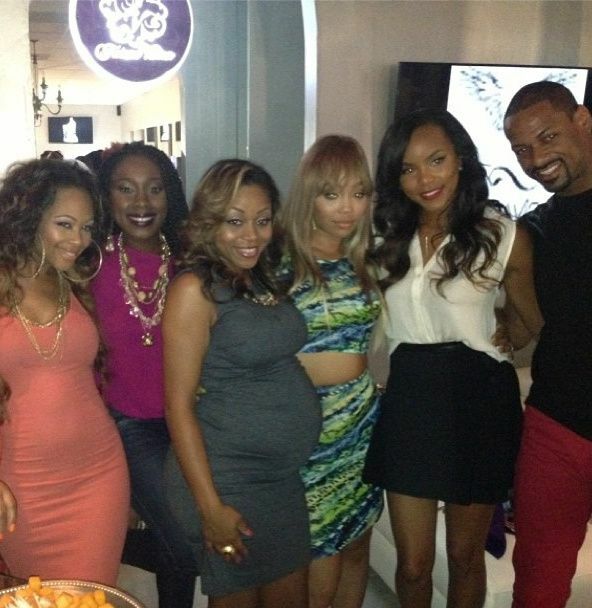 And of course, LaTavia's friend and former DC bandmate LeToya Luckett was also at the party. 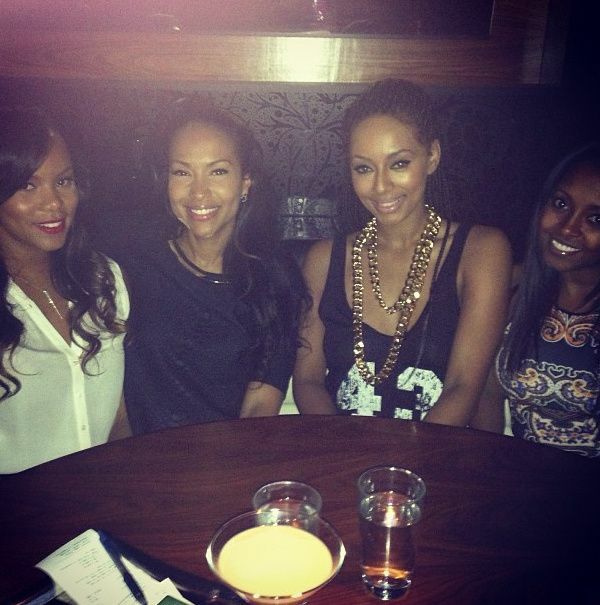 After LeToya left the baby shower, she headed to another venue to have a few cocktails with her girls Valeisha Butterfield Jones (who is shooting a reality show), Keri Hilson and Keshia Knight Pulliam. She tweeted, "great food, greater convo w/ these gurls!!" After dinner, the ladies took their poses to the streets with Keshia tweeting, "After dinner photo shoot!! #ATLshawty". Everybody looks fab as always. 1. T.I. says Atlantic Records was NOT happy with his more mature, family oriented image. Story. PREVIOUS: FUN DAY: Chris Brown And Karrueche Tran Spend QT At The 2013 O.C. Fair + Kanye West SET To Make HISTORY With 7th VMA Performance! This post would be more fab if she had a wedding ring to go along with that bun in the oven. But the ladies all look beautiful. I've always thought the members of Blaque were very stunning women. They still look good too. Meelah looks sooooo different...not sure if she had any work done on her face, but she looks like a totally different person. Not to mention she gained a hella lot of weight. Anyhoo, everyone looks good nonetheless.